So Owen has proven to be a very different child than Addyson. I know he’s a boy, a second child, and has been different since pregnancy but recently we have gotten quite a few glimpses into his budding personality and I AM WORRIED! First, he is an OBSERVER. He will watch you do something with a quiet anticipation and then turn around and when you’re not watching he will be trying to DO IT. 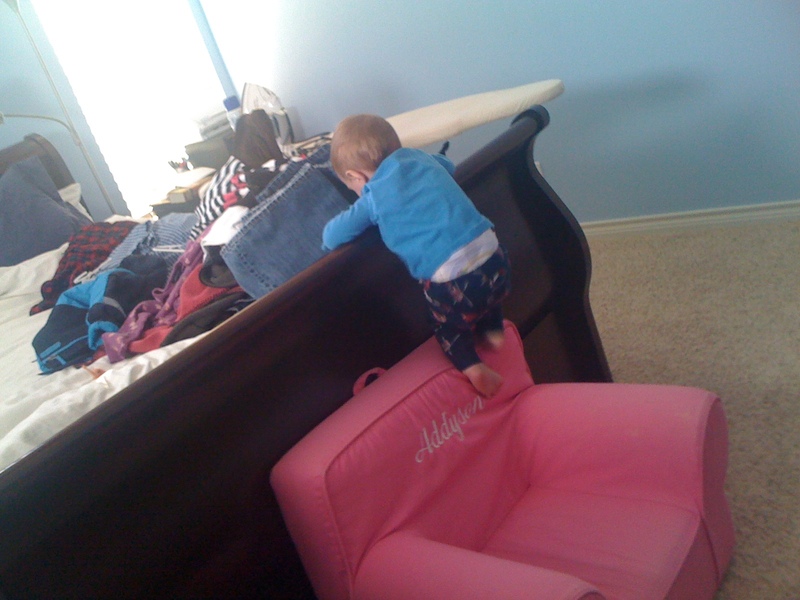 Second, he is a CLIMBER. 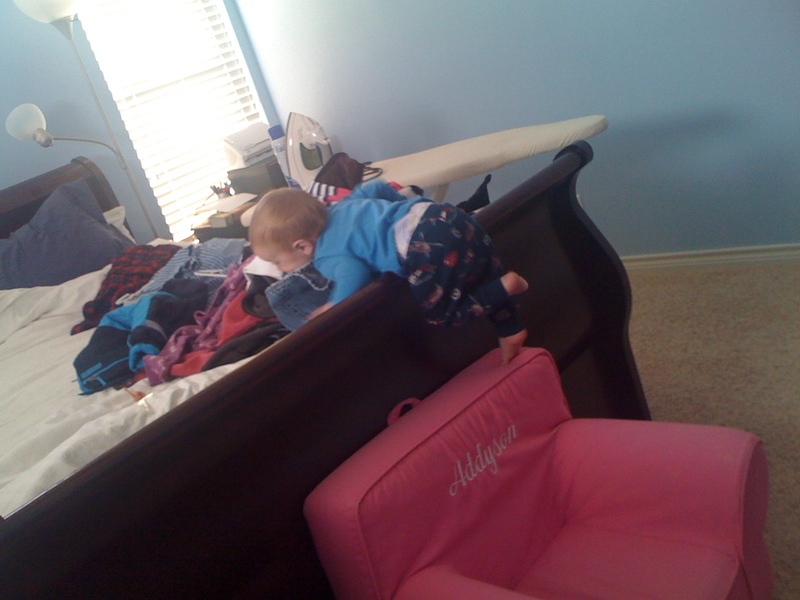 He will climb anywhere all the time. He has recently mastered climbing onto our sleigh bed in our Master bedroom using the small chair Addyson got for her first birthday. 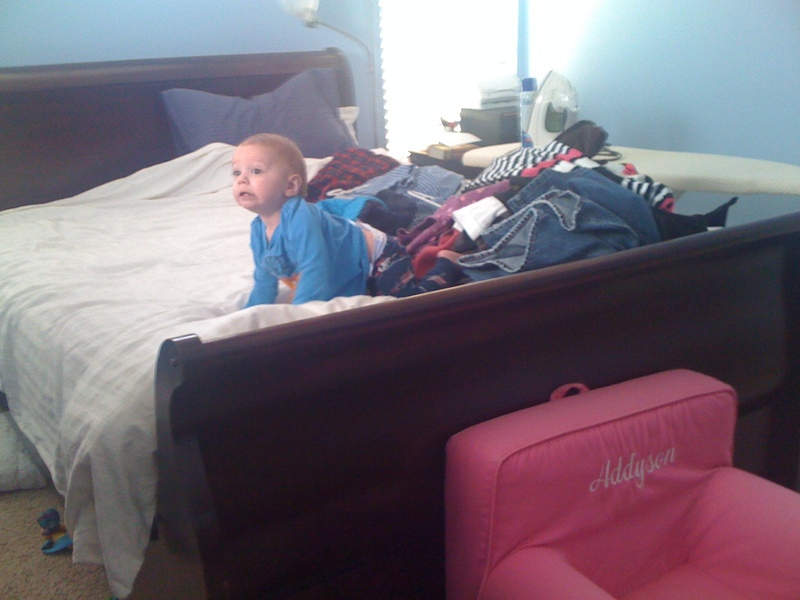 We sat it in our room at the foot of our bed because Addy likes to watch TV in there. She now has graduated to sitting/laying on the bed but now Owen wanted to be in there too so I thought he would sit in the chair but when I glanced in there a few minutes later he was ON THE BED. 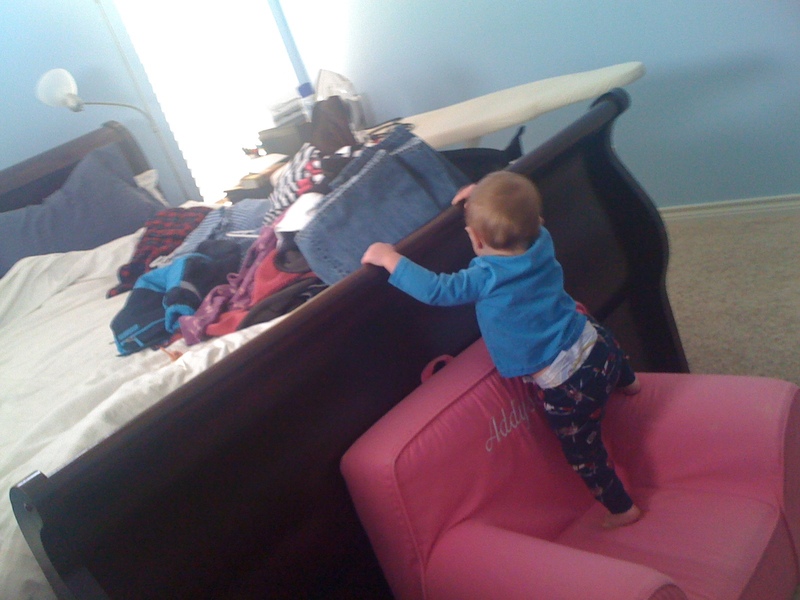 I asked Addyson “How did he get on the bed?” and her reply was, “He just climbed up here.”. Oh boy do we have our work cut out for us! There are pictures below that I captured in secret while he was doing it again this morning even with no Addyson in sight. Fourth and next to last he is very SYMPATHETIC. He has on numerous occasions followed me into Addyson’s room as I am taking her to time-out or to the very rare spanking & time-out combo to watch and cry along with her or to observe and then hit me as I pick him up to take him out of the room. If either of these instances occur he will then wait on her outside her closed door until she comes out. Fifth and finally he is a SWEETIE. That little laugh and smile can melt ANY heart!! 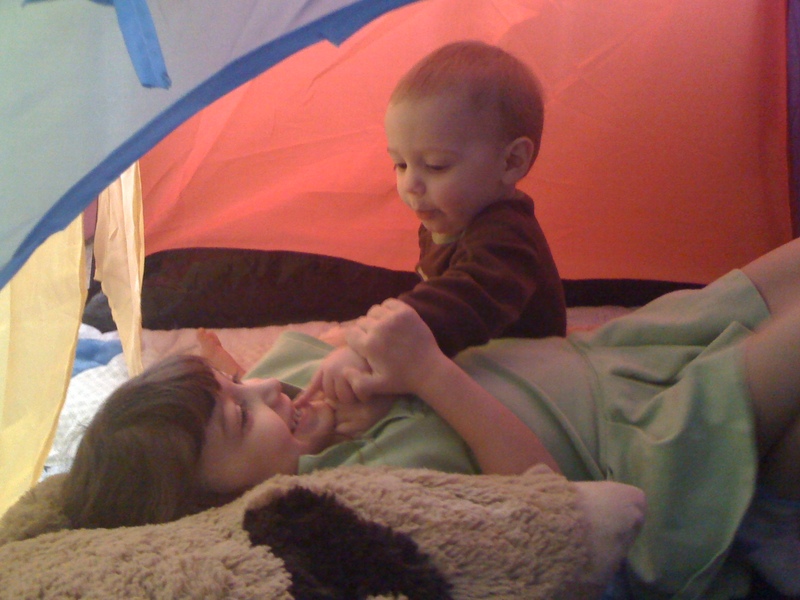 Addyson & Owen playing their new tent - Thanks DeeDee! Up and over the edge...strong arms!